Most of us set about packing our suitcases with a list of essentials that we need to take with us when we travel outside the country. There’s one thing, however, that it’s far too easy to get, because it’s a solution to a problem that doesn’t become obvious until we encounter it. When you travel abroad, you will immediately lose the internet access that you enjoyed at home in the Netherlands. Whether that means censorship or simply region restrictions will depend on where you are heading but, to make sure that you can keep browsing the net exactly as you are used to, either way you are going to need the help of a VPN, or Virtual Private Network, to secure a Dutch IP address while you are abroad. What Will I Need a Dutch IP Address For? Your IP address dictates what you can and can’t do on the internet. 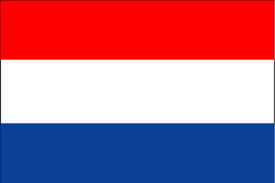 When you have a Dutch IP address, you are completely free from censorship by the government and you are able to access Dutch websites, streaming services and other websites that are specifically for your home country. When your IP address changes because you have left the country on business or vacation, you will switch to access that matches the access of the citizens who live in your country of destination. If you are heading to a country with strong censorship, you will also be subjected to that censorship. Even in a completely free access region, you will no longer be able to access region locked streaming music, radio and television. You may also have problems with such things as online banking and shopping, as doing so outside your home country will be flagged as unusual activity at best, or prevented at worst. How Do I Get a Dutch IP Address to Use Abroad? There’s a simple way to make sure that you maintain your current level of internet freedom whenever you travel abroad. If you sign up for a VPN service that has servers in your home country, you can obtain a Dutch IP address whenever you need to. The reason this works is that a VPN is designed to protect your browsing and it does this partly by making you anonymous while you are connected. This is done by assigning you a new IP address when your data hits the server. Because your IP address will match the location of the server, you need only make sure that the VPN server is in the Netherlands. What Do I Need From a VPN to Secure a Dutch IP Address?